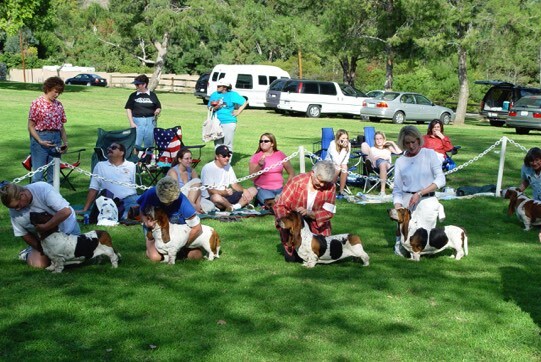 The Basset Hound Club of Southern California, Inc. holds up to two matches each year. They are usually in the spring and/or fall but can be changed due to the availability of puppies. Our events are AKC Sanctioned B Matches that are open only to basset hounds. The match advertising for each match mentions the specific details on entries. 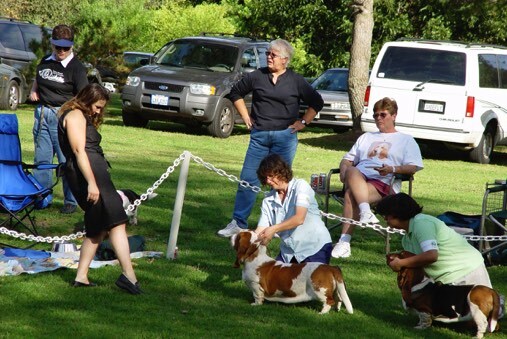 Our matches usually include competition for veteran bassets (age 6and older) as well as puppies and young adults. Matches are a great event for those who are new to the club and/or showing. They are much more informal than regular dog shows. Visitors can easily meet the breeders and owners. They can see what the breeders have produced recently and see some of the great veteran basset hounds owned by our members. Since matches are for puppies they can be very comical. We never know what puppies will do. Besides they are all very cute. 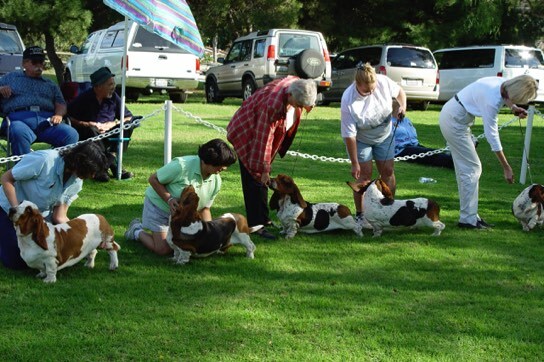 Judging at matches is based on the written AKC Standard for basset hounds. The link at the right will take you to the AKC Standard for Basset Hounds. Time: To be announced in September. A Match Flyer with additional information is coming soon. BHCSC Annual Awards (2017-2018) presentation will happen sometime after the match. DETAILS: The judge for BHCSC will be Loren Cooper. The match judge for San Diego will be Candy Holman. Registration for both puppy matches will be open from 8:30 – 9:00 a.m. 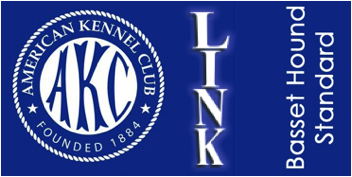 Entries for both the BHCSC and GSDBHC B Matchs are open to all AKC registered dogs with or without major points that are not Champions of Record. They will be eligible to be entered in all classes. Champions may be entered in Veterans classes only. The San Diego match will go first and BHCSC will follow. Lunch and BHCSC’s award presentation will follow the two matches. Sue Shoemaker will handle BHCSC entries, and Terri Asher will handle San Diego’s entries. A PDF copy of the match entry form be distributed to all members along with the October Basset Tales. If possible one will be added to this website page too. The following link is to the map and directions for Hacienda Park in La Habra Heights, CA which is the site of our matches.